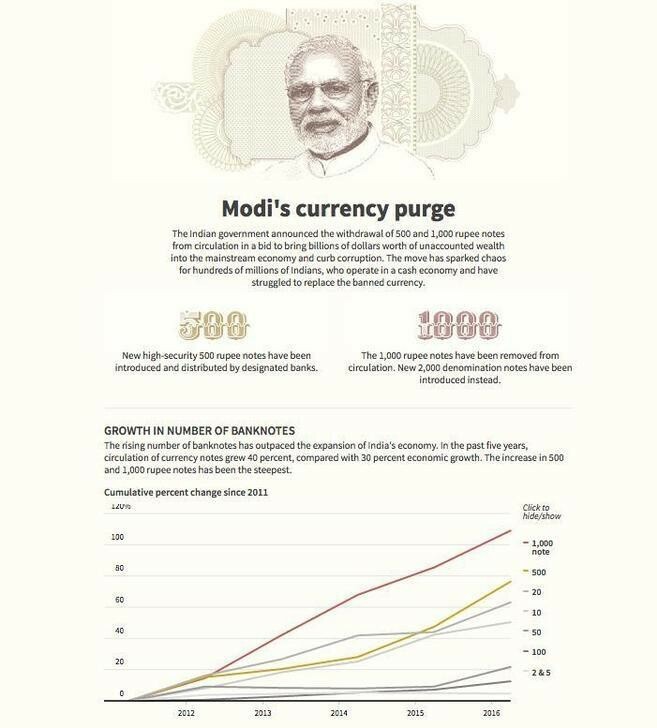 Indian Prime Minister Narendra Modi has already removed 86% of his country's currency from circulation in an attempt to curb tax evasion, tackle corruption and shut down the shadow economy. Joseph Stiglitz, Nobel Prize-winning economist, thinks so. Phasing out currency and moving towards a digital economy would, over the long term, have “benefits that outweigh the cost,” the Columbia University professor said on day one of the World Economic Forum's Annual Meeting in Davos. Stiglitz was speaking in the session Ending Corruption alongside Mark Pieth from the Basel Institute of Governance and APCO Worldwide Founder and Executive Chairman Margery Kraus. Stiglitz and Pieth co-authored a report, Overcoming the Shadow Economy, in November last year. Quantifying the scale of the problem, Stiglitz said: “You can put it into the context of one of the big issues being discussed in Davos this year – the backlash against globalization, the darker side of globalization ... The lack of transparency in global financial markets, the secrecy havens that the Panama Papers exposed, just reinforced what we already knew ... There is a global framework for both corruption and tax evasion and tax avoidance. One of the countries that has not done enough to fight corruption is the US, Stiglitz went on to say, and one remedy could be to phase out cash and embrace digital currencies. Stiglitz is not the only Davos economist to make the case for a “less-cash” society. Harvard's Kenneth Rogoff has argued for two decades that a society awash with cash contributes to the growth of the underground economy. Rogoff believes large-denomination bank notes, rarely used by ordinary people and businesses, should be phased out. “Cash facilitates crime because it is anonymous, and big bills are especially problematic because they are so easy to carry and conceal,” he says in this article.